Pineapple Peach, Raspberry Lemon, Tart Cherry, Ginger! No, I’m not talking about the colors of the rainbow or even your daily fruits; I’m talking about a healthy, feel-good drink called KOMbucha! Delicious, sparkling drinks with live probiotics and organic acids. We all like to feel good and this is honestly one of the best ways to do it, these drinks provide extreme gut health and are a yummy and healthy treat at any time of the day! I am a firm believer that this product has helped me immensely with regularity as well as digestion and overall balance. What is KOMbucha you ask? KOMbucha is a fermented beverage consisting of black tea and sugar that’s used as a functional, probiotic food. It contains bacteria and yeast that are responsible for initiating the fermentation process once combined with sugar. After fermentation, KOMbucha becomes carbonated and contains vinegar, B vitamins, enzymes, probiotics and a high concentration of acid. This is how we get our yummy drinks. 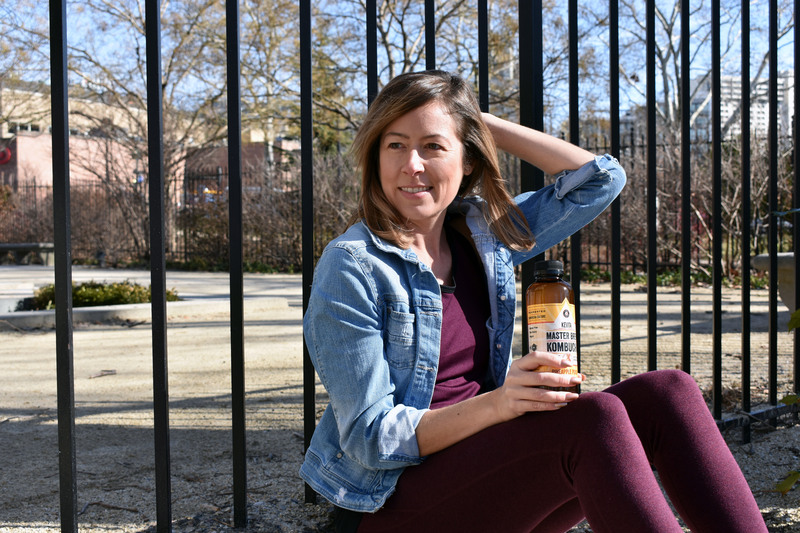 While there are many brands out there, my favorite, that I include in my everyday routine is Kevita Master Brew, Kombucha. I enjoy the majority of the flavors, and I’m always looking forward to my afternoon bottle. I tend to switch up the flavors, but my favorites are Pineapple Peach & Tart Cherry. These drinks can be found almost anywhere as the demand has grown. The place with the most variety has to be Whole Foods, but Amazon Fresh has almost everything! Once you find a couple of flavors you love, you can also order them online. If you live in Philadelphia you can also find them at Acme, Trader Joe’s, Amazon Fresh, The Fresh Market, and DI Bruno Brothers. The drinks range from $2.99 to $5.00 depending on where you get them, I usually find myself spending no more than $3.50 – but for overall gut health I think it’s worth it, don’t you? What are some of your favorite healthy drinks? Please share.